Woohoo! I’m back after a long break and in true housewife style I’m back with a bang! This time round I am honored to host the long standing and ever popular MEC event started by Srivalli of Cooking 4 all seasons. I admit that I am one of those clueless people who only uses the microwave to heat up food but hosting this event has changed things around. A visit to Srivalli’s blog will blow your mind on the feats that can be achieved with the humble microwave alone! 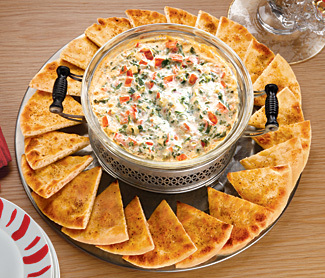 Inspired by this challenge, I am happy to announce June 2011’s MEC challenge… Party Appetizers (because its always a party at the housewife’s!). It makes perfect sense to use the quick cooking prowess of a microwave when you need to whip up something quick but delicious for guests, expected or otherwise. After all, lets face it … sometimes life takes all the help you can get! What do you like to make for your guests? Dips, nibbles, munchies… whatever it is, this is your chance to share your microwave friendly recipes. You could make over an existing recipe or share an old favorite. Maybe it can be a spinach and cheese dip or a colorful tomato bruschetta, spongy dhokla or even cute as a button stuffed cherry tomatoes, totally terrific mini mushrooms stuffed with cheese. Let your imagination run wild! 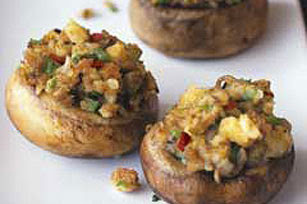 The appetizer can be vegetarian or non-vegetarian… we love ‘em all! 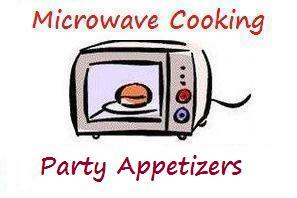 The entire cooking process must be in the microwave (no stove tops even for prep). You could use appliances like the food processor, etc to help you prep for the recipe. This event is open to bloggers and non-bloggers alike. So if you like to cook, please do participate in this event. Please include the following information stating MEC: Party Appetizers in the subject line -Your name, the link to your post and photograph of your dish. If you are a blogger, don't forget to link back to my page and Srivalli's page on MEC in your blog post. Last but not the least stop by Srivalli’s page to know more about this exciting event. Foodies… Let’s turn on the heat! Thanks Priya! Looking forward to your entry! Thanks Madhusmita! Hope to see an entry from you!